I recently got Enchanted Tower for my 5 year old niece, based on interesting looking gameplay and theme. It turned out to be a wonderful little game that both she and my 11 year old nephew enjoyed. The mechanics are straightforward but a lot of fun. One player takes the role of the sorcerer, and the other take turns controlling “Robin.” All the robin players close their eyes and the Sorcerer hides a key under one of the 16 tokens on the board (there are compartments for the key under each). The two teams then race to find the key. The sorcerer knows exactly where it is, but has a longer path before he can start looking. Once someone finds the key they try it in one of the six locks on the tower. If the princess is freed that team wins. If not the sorcerer hides the key again and things start over. There are a lot of little touches that take a great basic concept and elevate it. Each turn both teams roll a special die. The sorcerer rolls one that has pictures of the player tokens and determines which team moves first that turn. The other team rolls one with two color coded numbers on each face that determines how far each team moves that turn. The mechanism under the tower is separate and thus can be turned, so which lock is the winning one can is randomized each game. Magnets on the bottom of the pieces make it obvious when the key is discovered. The board, tokens, and pieces are all beautiful and of high quality. Everything comes together wonderfully to form an easy to learn children’s game that plays quick, is captivating for the little ones and enjoyable for the adults playing with them. My niece and nephew got very excited when trying the key and taking their turns as sorcerer. Overall Enchanter Sorcerer was a bit hit for us and I highly recommend checking it out for the little gamers in your family. One of the latest recreational crazes is the room escape game, where several players enter a pre-constructed room with numerous puzzles to solve in order to exit back out of the door they came in through (which has been locked behind them). They’re a ton of fun and I’ve played quite a number of them at several different locations over the last couple of years, and enjoyed nearly all of them. Here’s a NON-SPOILER look at the rooms I’ve tried. There are certain things common to nearly all games of this type. I’ll hit the high points here, and mention any exceptions when I discuss the individual rooms. All of the places I’m going to discuss are in NYC. Everything you need to solve all of the puzzles is within the room(s) you are in. You don’t need to bring anything but yourselves. There is a strict time limit, usually an hour. If you don’t solve the puzzles and open the door by the end of that time you have lost. Each room has a maximum player count. Up to that many people can be booked for a given time. If you don’t want to risk being paired up with strangers, you can book the entire room (per person price times the maximum number of players) even if you don’t have the full number of people. These are designed for groups. You technically can book a whole room for just yourself, but it’s really not a good idea. The sweet spot is the full number to about 2 less. If you have less than that it’s better to book just for the number of people you have and maybe others will book at the same time and fill out the room. Obviously it can be more fun to play with people you know, but so far I personally haven’t had any problem the couple of times I was paired with some strangers. The rooms tend to be reasonably sized for the number of people allowed to play, and there is a gamemaster watching at all times (and occasionally providing clues). There is room to move around and the atmosphere is fun, so I wouldn’t worry about feeling claustrophobic or locked in. Only 2 rooms out of the 9 I played felt cramped (and one was intentional because it was a horror themed room). I’ll provide more details below. This is the first place I tried, and I played all four of the games I’m tried with them before trying other companies. They have two locations, which are vastly different so I’ll be featuring them separately. The Midtown games are all a lot of fun. The staff is friendly and the cluemasters helpful during games, watching through cameras and using a monitor to dispense clues as is most common. The themes aren’t as deeply integrated as some of the other companies’ rooms, but they still provide a good amount of atmosphere and work well. The puzzles are logical and fun, and have kind of a “classic” feel, due in part to using less tech and gadgets than other places. If you’re willing to try a few rooms / locations, this is where to start. The Home – A Victorian themed room after a certain famous detective. This was the first room I ever played, and remains perhaps my favorite. 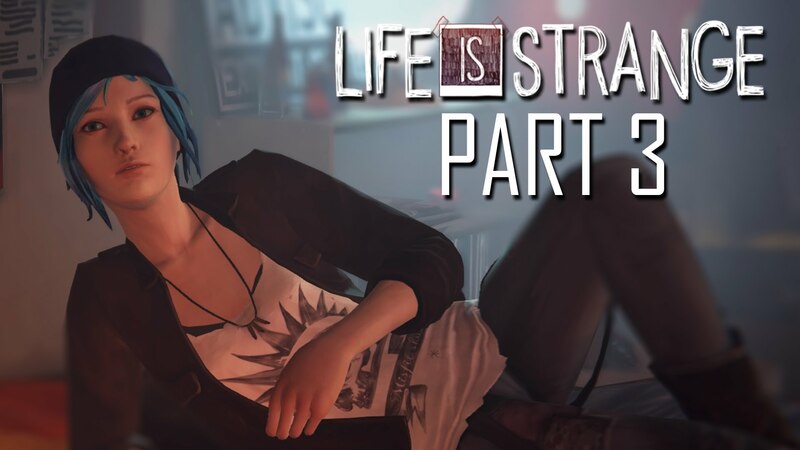 Lots of great puzzles and twists to this one. The Agency – A secret agent themed room, with an assignment to complete and complications to work around. I’d place this near the middle of all the rooms I’ve played. It was a lot of fun with a cool theme but some other rooms outshine it in terms of puzzles. The Office – They say this is their original room, and the advances in design show a bit in the others. The idea is to escape and avoid being trapped at work (“everyone’s worst nightmare,” the website says), but the setup is more “home office” than “actual office,” which isn’t very intimidating. Definitely a fun room and perhaps the most new player friendly one I’ve seen, but it was my least favorite of the three here. And here’s what enticed me to try other companies. There are two rooms here, of which I’ve played one. The Apartment is the most plainly themed room I’ve tried, the idea being simply that you’re trying to escape a NYC apartment. This room is where several of the exceptions to the general information I provided pop up. The max player count crams WAY too many people in for the space. We were constantly tripping over each other. Now this may have been part of the idea – apartments in NYC aren’t known to be spacious. But as a practical matter it didn’t add to the experience, it just made it annoying to try to solve the puzzles. Making things worse was the clue setup. Unlike every other location I’ve played, there was no way for the gamemaster to relay clues from outside the room. We had to hold up something in front of the camera to request a clue, then wait for him to come into the room to give it to us. Not only did someone coming in and out through the “locked” door we were trying to get out of ruin any sense of immersion, there were already too many people for the space so adding another was very annoying. He then would slowly walk around the room (with us having to struggle to move out of his way) to see what he could maybe give us a hint about, despite the fact that he was supposedly watching on the cameras. Given the timed nature of the game none of us were happy with this. We had more issues, but I can’t get into them without spoiling puzzles. The puzzles themselves were good, so it wasn’t all bad, but overall this was the one time where playing a room escape wasn’t that enjoyable for us. It’s a shame because the Midtown games are great, but there are tons of great places to try so personally I’d avoid Escape the Room’s downtown location (although I haven’t played The Theater, so can’t speak specifically about that room). That’s it for part 1. In part 2 I’ll cover the other 2 companies / 5 rooms I’ve tried. This month’s Nerd Block theme is “tis’ the Season” and most of the items are Christmas or New Year’s related. The Product of the Month was the one stretch on the theme, as the card puts the ridiculous spin on the Sherlock Vinyl Figure that it’s “on the case for all your Holiday-related mysteries.” It’s a great item from a great property though so no complaints here. National Lampoon’s Christmas Vacation Moose Acrylic Shot Glass is a wonderfully absurd, relevant inclusion from a property I certainly wasn’t expecting to see represented. Firefly was one of the series teased ahead of time, and the exclusive chrome variant Serenity Ornament is my favorite item this month. The teased Stars Wars inclusion turned out to be a Force Awakens Mini-Calendar, a practical and awesome little item from the impending blockbuster. I’ll admit I don’t know the reference or significance of the included print (and it’s not listed on the card), but it’s striking if a bit creepy. Finally we have the monthly t-shirt, a mash-up called Back to the Nightmare that amusingly combines the two expected movies. Nerd Block turns in a great batch in the last month of my subscription, with a nice variety of stuff I like quite a bit. It’s not enough overall to make me want to renew, as the Arcade Block offering is much more consistently to my tastes, but Nerd Block Classic is still a solid offering that I’m sure a lot of people will find satisfies their mystery box craving. Between Shimmer’s recent 10th Anniversary weekend and more and more Shimmer regulars showing up on NXT I thought this would be a good time to do a quick spotlight on some shows that are good jumping on points for new viewers to check out this amazing promotion. You really can’t go wrong with any of the Shimmer library, and there’s MANY more volumes I could point to, but here are just a few particularly impressive shows to start with. All three (and many more) are available for purchase at Shimmer’s website. Edit 7/14/17: It’s been wonderful to continue to see some of the incredible athletes from Shimmer get opportunities in WWE/NXT. I’ve updated this article with notes as indicated to point out appearances of more talent that has debuted since I wrote this, including numerous wrestlers who are part of the Mae Young Classic. Why it’s great in general: The undercard has a lot of interesting, strong match ups including Serena Deeb vs. Yumi Ohka, Jessie McKay vs. Hiroyo Matsumoto, Athena vs. Mercedes Martinez, etc. The top four matches are all great and wrap up several ongoing angles while setting up a couple intriguing new ones. At the very top the most successful tag team in Shimmer’s history gets a chance to regain their titles, and Cheerleader Melissa gets a long awaited second title match against Madison Eagles. Why it’s good for new viewers: I’ll admit this one is a little odd, as again it features the end of several ongoing angles. But the background is well explained in each case, and the payoffs really do work well even standing on their own, making this a really strong show. The big draw to NXT/WWE viewers will be Britani Knight (Paige) facing her mother Sweet Saraya Knight in Britani’s last Shimmer match. Jessie McKay (Billie Kay), Leva Bates (Blue Pants), Serena Deeb (Serena), Kana (Asuka), Davina Rose (Bayley), and Athena (Ember Moon) also all appear on this volume. Edit 7/14/17: Mae Young Classic participant Mia Yim shows up here, although she’s gets much more of a chance to shine on a show I spotlight later. Why it’s great in general: Volume 50 has a nice variety of matches that do a good job of showcasing what Shimmer has to offer. The main event features a lot of the biggest stars at the time in a match that both pays tribute to Shimmer history and expertly weaves in several ongoing stories. In addition the co-main event is an amazing match between Japanese superstars Ayako Hamada and Kana, which is my personal all time favorite match in Shimmer (and which I talk about in depth here). Why it’s good for new viewers: This is another good spotlight for several wrestlers currently appearing on NXT, including signees and enhancement talent, so would be nice for people who’ve seen them there and are looking to check out their previous work. Kana (Asuka), Davina Rose (Bayley), Athena (Ember Moon), Leva Bates (Blue Pants), and Shazza McKenzie all appear on this volume. And again with the two spectacular main events and an undercard filled with interesting match ups this show is a nice snapshot of what Shimmer is. Elimination Match: Allison Danger, Leva Bates, Cheerleader Melissa, Lufisto and MsChif vs. Saraya Knight, Mercedes Martinez, Lexie Fyfe, Portia Perez and Nicole Matthews. Edit 7/14/17: Mae Young Classic participants Mercedes Martinez and Santana Garrett appear on this show. Why it’s great in general: Volume 67 is possibly the best overall show in Shimmer history. Two of the greatest wrestlers in the world face in the main event as Kana gets her first (and only) shot at the Shimmer Championship, and the undercard is just as impressive. Rising star Nicole Savoy makes her debut here, Evie and Kay Lee Ray have an amazing contest, there’s a mind-blowingly great Joshi 6-woman tag (more on that here), Ozaki and Saraya beat each other senseless, Eagles and Matthews continue their “friendly” rivalry, and much more. Great stuff from start to finish, and a nice variety of matches and styles. Check out my full show review here. Why it’s good for new viewers: Besides featuring the best Shimmer has to offer, this show sets up a lot of angles for the next several dvds. It’s the perfect spot to jump on and watch forward to catch up to the most recent volumes or just to see a lot of the current roster and what Shimmer is like at present. Edit 7/14/17: This is a particularly great show for those wanting to check out a bunch of the new faces in NXT and the Mae Young Classic, often against each other. Kimber Lee (Abbey Laith) and KC Cassiday (Peyton Royce) face of on opposite sides of the opening tag match. Nicole Savoy makes her Shimmer debut against Heidi Lovelace (Ruby Riot). Athena (Ember Moon) faces Nikki Storm (Nikki Cross). Evie (Dakota Kai) and Kay Lee Ray tear the house down. In addition to all of that Crazy Mary (Sarah Logan) appears, and Mia Yim and Kana (Asuka) are in two of my favorite matches in all of Shimmer history. Again this is just a small sample of the incredible wrestling Shimmer has put out. Check out more of my thoughts on some of Shimmer’s best matches, and a live perspective on the 10th Anniversary shows. Again, all currently available Shimmer dvds can be purchased here. November’s here and so is my box of varied and unique snacks from Japan. As usual Japan Crate includes a mini-manga that explains what each item is, has instructions for the DIY kit, and various additional context, pictures and promotion. The bonus item for the Premium Crate this month isn’t food, but a Naruto Blind Box Mini-Figure. Good inclusion to capitalize on the popular anime. 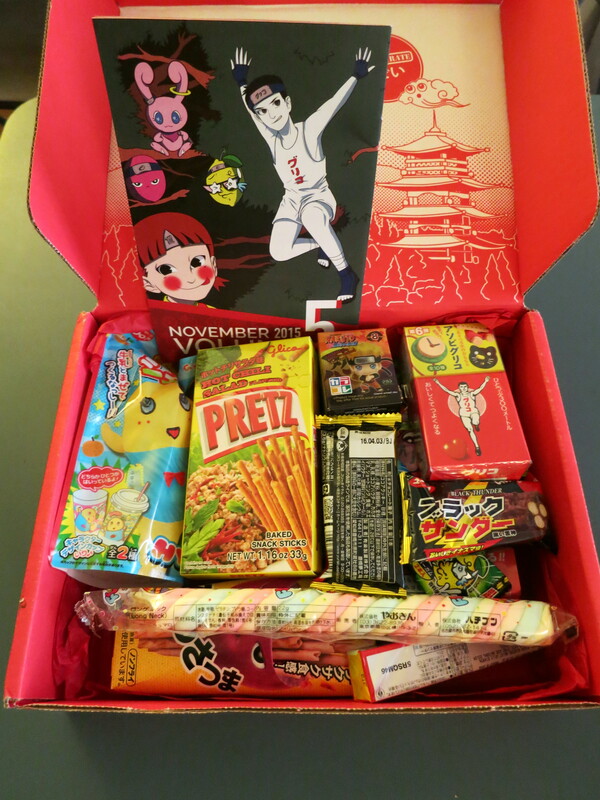 One of the items listed in the book (Fujiya Lollipop Bag) wasn’t available in time, so an email was sent out explaining that it would be in next time and that two snacks had been added in its place. Nice touch. So let’s look at the edibles. 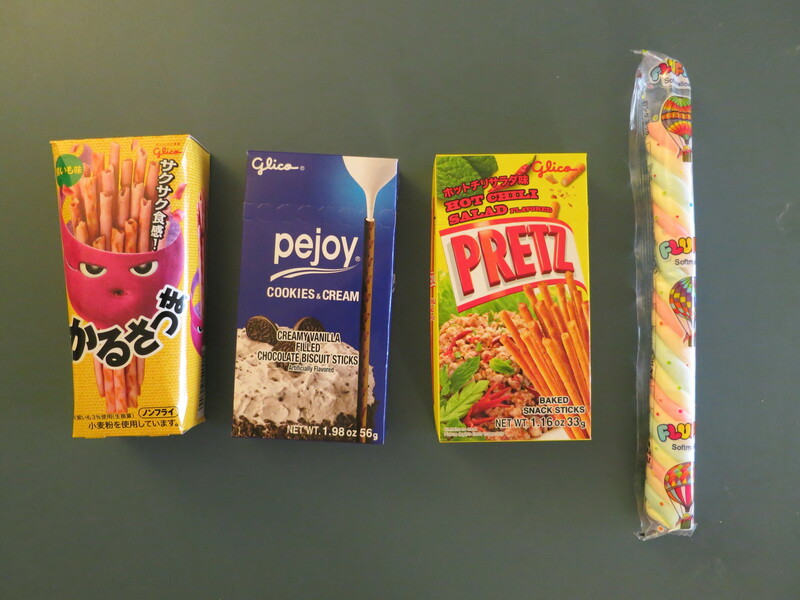 Both replacements were from Glico, and the Cookies & Cream pejoy ended up being my favorite snack of the month. Kind of a “reverse pocky,” these vanilla cream filled chocolate cookie sticks were delicious. The chocolate items were a big hit with me in general, as the Bar-None-like Black Thunder candy bars were fantastic. The other replacement was also great: Hot Chili Salad Flavored Pretz, nicely seasoned pretzel sticks with a decent dose of spice. 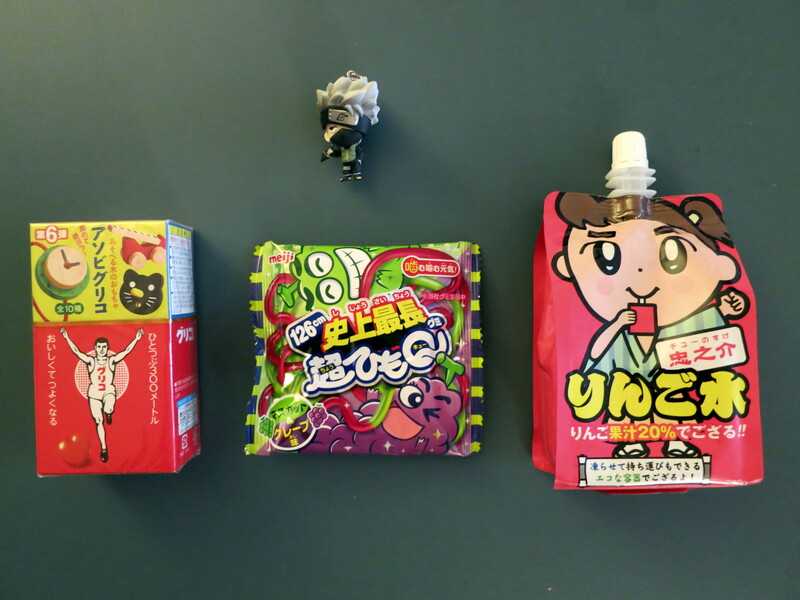 Meiji Dice Caramel and Glico Man Caramel & Toy are both amusingly packaged caramel candies. They were fun inclusions and the caramel was decent, but in both cases it was a bit too sweet for me. 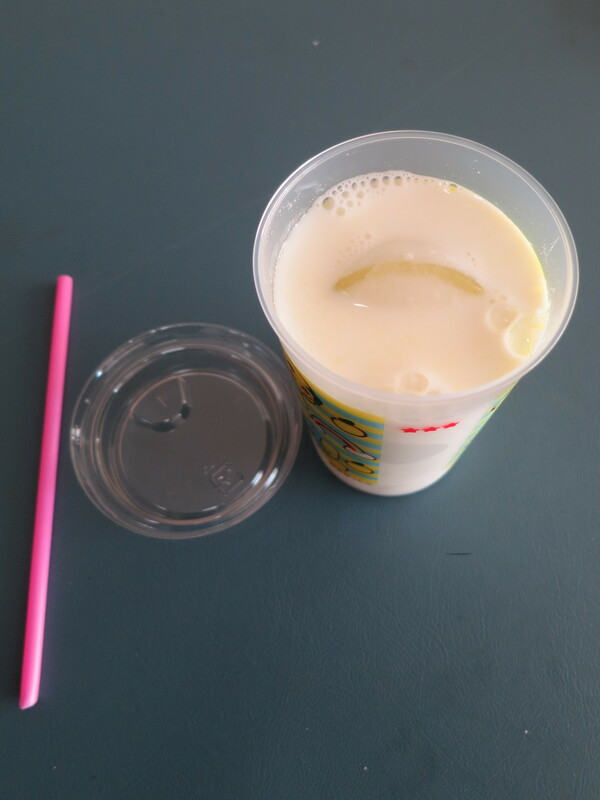 The DIY kit this month was Funassyi Furi-Furi Shake DIY Kit, which is intended to create a sweet pear flavored milkshake by adding milk and an ice cube to the provided powder. 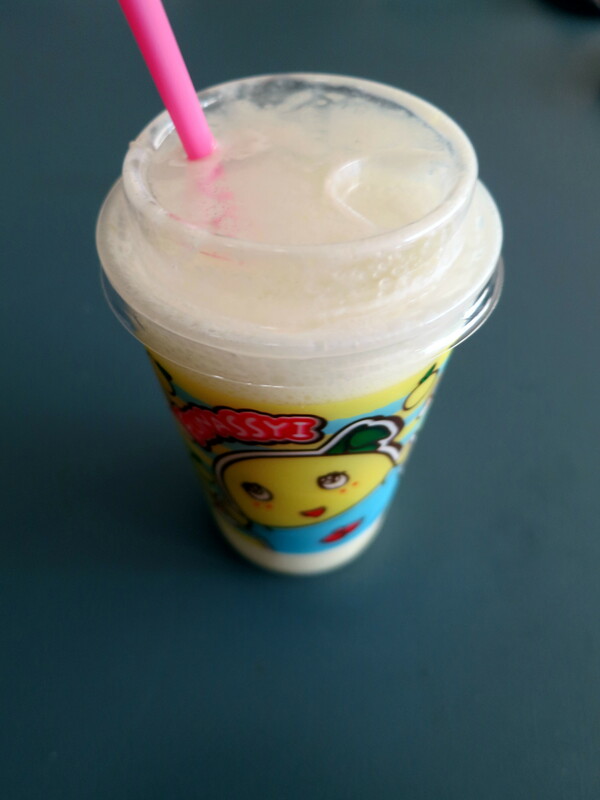 I got almost more of a banana flavor from it personally, but it mixed to a nice consistency and was decent for what it was. “Add milk and ice and shake” is also far and away the least work required for one of these so far. Another Premium exclusive, Parchishuwa Grape Soda Mix, is one of the most unique candies I’ve tried yet. It’s like a bit a pop rocks mixed in with a powder that fizzes a bit and some chewy pieces for texture. The book describes it as “exactly what grape soda would be like if you could eat it instead of drink it,” and they’re right. 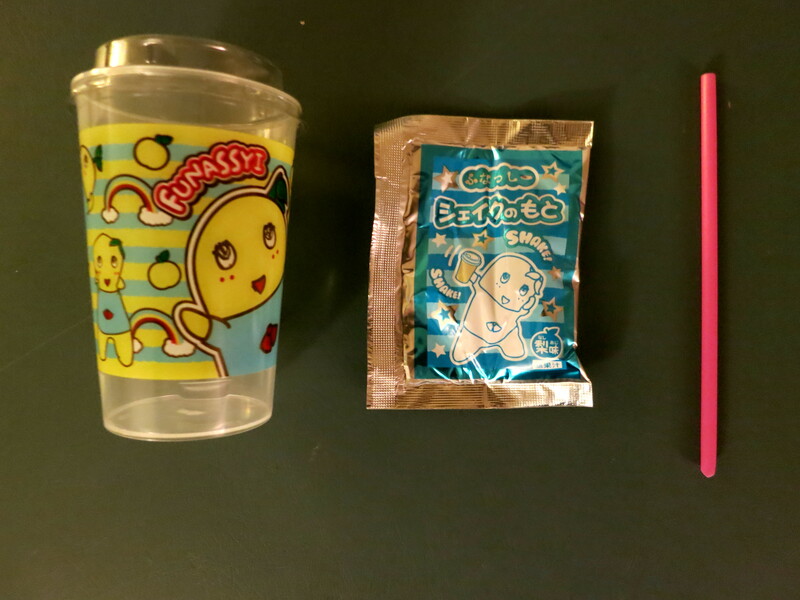 Uranai-KKO Bubble Gum is a nice recreation of fortune sticks. The gum itself is decent and seemed to have a slight cola flavor. The book and blog provide a little to help try to translate the fortunes, but it’s not nearly enough and I found the most I could determine on the sticks I got was good or bad luck. Spy vs Spy Sour Gum contained two identical looking soft sticks of lemon gum, with one much more sour than the other. This was one of the Premium Crate exclusives and I enjoyed both versions. Fluffy Long Neck Marshmallow is a twisted rainbow marshmallow stick. It’s fine for what it is, but a marshmallow doesn’t impress me. I wanted to like the Purple Sweet Potato Sticks, which taste as advertised, but I really didn’t for some reason. So it goes. 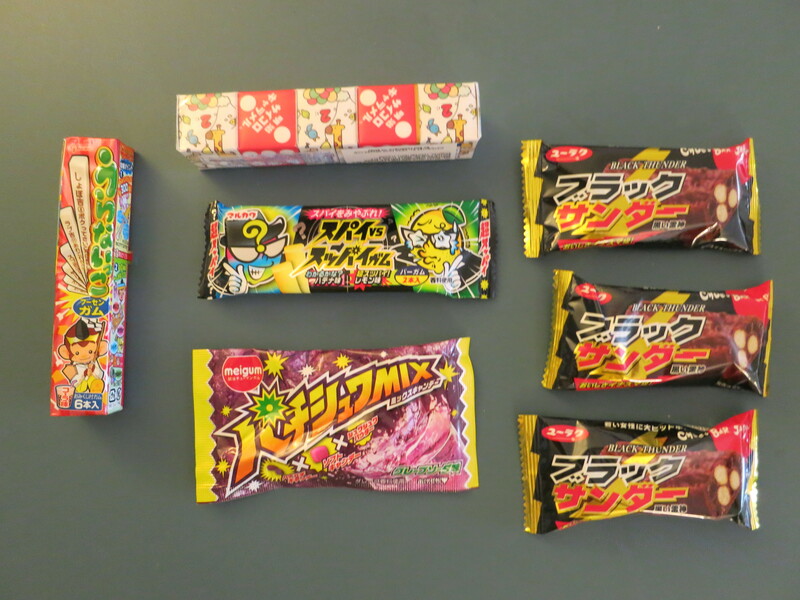 This was the weakest Japan Crate so far for my personal tastes, but I still appreciate the chance to try all of these unique snacks. The Premium exclusives continue to provide some of my favorites, and the upgrade is easily worth the additional $5. Despite less to love than usual there wasn’t a lot I severely disliked either, there were still high points, and I continue to be impressed with the variety of selections, not only within each box but across the shipments I’ve received.